The question most frequently asked of volunteers and donors is “How did you get involved in the fight against breast cancer?” Every person who has joined the fight against breast cancer has a personal story to share and these shared stories allow us to feel closer to each other as we work together in this fight. My story began with my grandmother. When I was young my grandmother was diagnosed with cancer. After surgery she seemed to get better and long surpassed the life expectancy that the doctors had given her. Sadly, eventually the cancer came back, and she grew sicker and sicker. She eventually had to go into a care facility when her illness became too much, and she was no longer able to care for herself. When I was a Junior in High School, I went to her facility to show her my Homecoming dress because I knew it was something that would make her happy. My grandmother was gone before I ever had a chance to show her my Junior Prom dress seven months later. Three of my cousins and my nephew never got to meet her or hear her sing “You Are My Sunshine”, the song she sang as she rocked her grand-babies to sleep. Unfortunately, my story happens all too often. Too many of our loved ones have been lost to this disease. Being a part of the fight against breast cancer makes me feel like I am doing something to honor my grandmother, the great-aunts I never met, friends and their family members, and way too many of your loved ones. One in eight women is still being diagnosed with breast cancer each year. But there is hope! Due to the advancements that have been made in education, early diagnosis, and treatment, more of those diagnosed with breast cancer are surviving than ever before. Over 90% of those diagnosed with breast cancer early are surviving, and over 3 million survivors will celebrate another birthday this year in the United States. 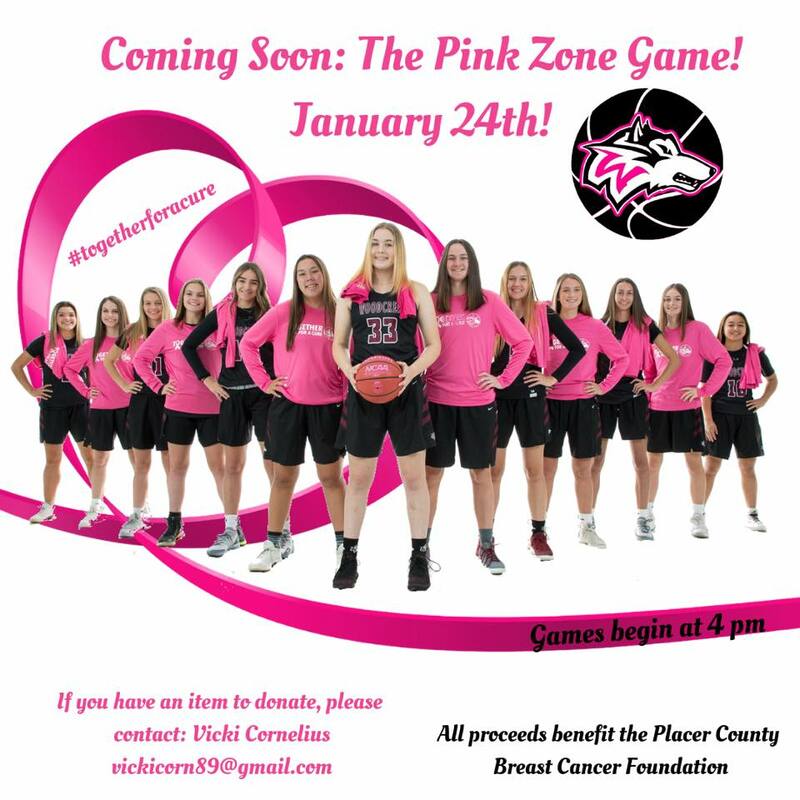 Working with the Placer Breast Cancer Foundation has given me an opportunity to be a part of working to create this hope. Our push for education and research is helping to make a change, and the study that your generous donations and our fundraising are helping to support is making a difference in the diagnosis and survival of so many. If you would like to learn more about the study that we are funding, please read: Funding Goal. To learn more about our history and our successes, please click here. The Placer Breast Cancer Foundation thanks you for your ongoing support! With you, we can continue to make a difference. The strength of our combined stories allows us to form a bond more powerful than ourselves, picks us up when we feel like we may not be making a difference, and makes us smile when there may be sadness. We wouldn’t be able to make a difference without all of you! 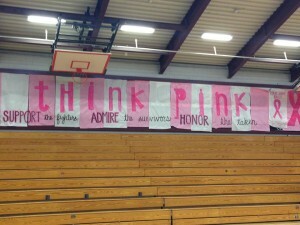 If you would like to learn more about our events and how you can help, please visit our website at www.wethinkpink.org. 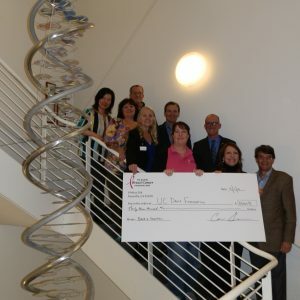 In 2016, the Foundation committed to raising $100,000 over 3 years to help fund a study at UC Davis (managed by Wolf-Dietrich Heyer, PhD and Jie Liu, PhD) and their development of a 3D BRCA2 model. Mutations in BRCA1 and BRCA2 lead to defective DNA repair and predispose individuals to develop cancer. BRCA mutations occur in only 10-15% of all breast cancers, and the study of these proteins will lead researchers to better understand the underlying mechanism of how cancer develops and potentially develop new therapies. Dr. Heyer and Dr. Liu have achieved a breakthrough by purifying entire BRCA2 protein, a perquisite to determine its structure and function. For a quick overview of this on-going study, please read this: Funding Goal Project Summary. In the Spring of 2019 we will fulfill our commitment to this study. 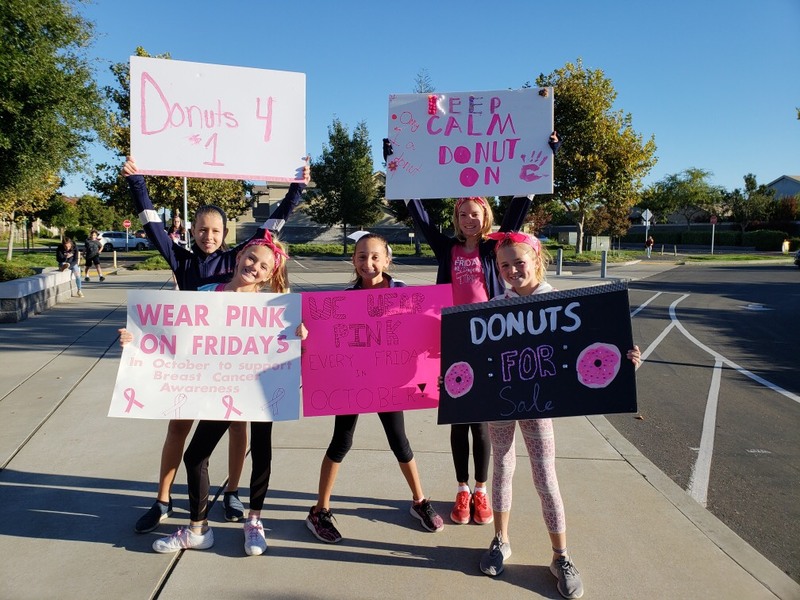 The Placer Breast Cancer Foundation is proud of what we accomplished in 2018! We are especially grateful for all the help and support that has come from our community. Together we will continue our fight against breast cancer through research, education, and outreach! 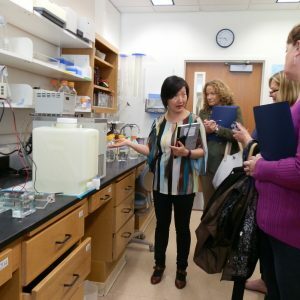 In April, the Foundation board was able to present our second installment of the $100,000 that we are committed to donating to UC Davis over three years. These monies go to help fund a study that works with the BRCA gene, a gene which has been found to be a high indicator of both breast and ovarian cancer. In 2019, we will make our final installment payment for this commitment! Also during the Spring of 2019, we will learn about a new opportunity for us to raise funds to fight breast cancer! We look forward to sharing it with you! In May, we held our 3rd Annual Placer Women’s Retreat. 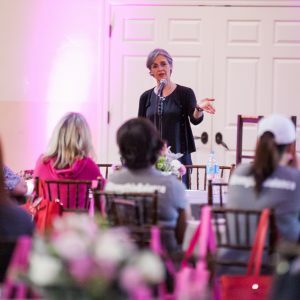 Over 200 local women came together to learn more about women’s wellness, including nutrition, breast cancer research and updates, and mental well-being. We also loved just spending time with all our friends and family. Our next Retreat will be held this spring, with more information to follow! 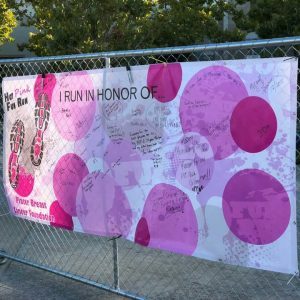 In September, runners and walkers from all over the area joined us for our 11th Annual Hot Pink Fun Run. We celebrated survivors, raced to the finish line, and raised funds to continue our fight! Join us for the 12th Annual Hot Pink event this fall…we think you will enjoy the changes we are making to the event! 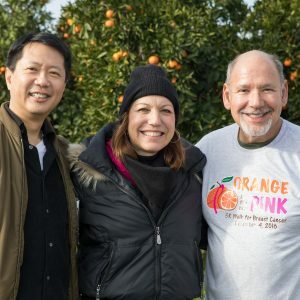 Finally, we braved a December winter morning at our 4th Annual Mandarin Walk. After a beautiful walk through local Mandarin orchards, we ate pancakes and drank mimosas. It was a great way to spend time giving back to our community, and sharing information about the Foundation, while still raising money for our fight! We are excited about big things coming in 2019! Join us at one of our events or become a volunteer! With you fighting with us to end breast cancer, we know that we can make a difference! We were so honored and excited to visit Chilton Middle School on Monday, November 26th! 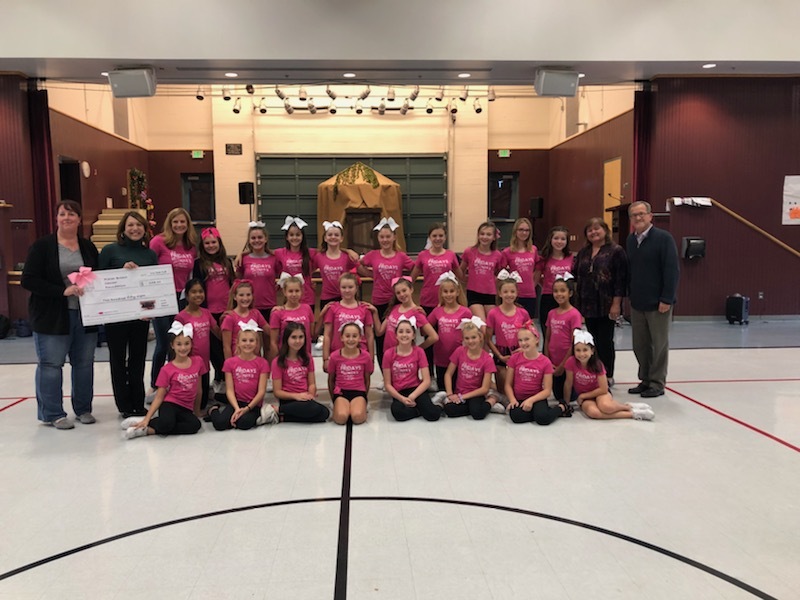 The Chilton Cheerleaders and their coach, Miss Kim, raised funds during October and donated those funds to the Placer Breast Cancer Foundation. 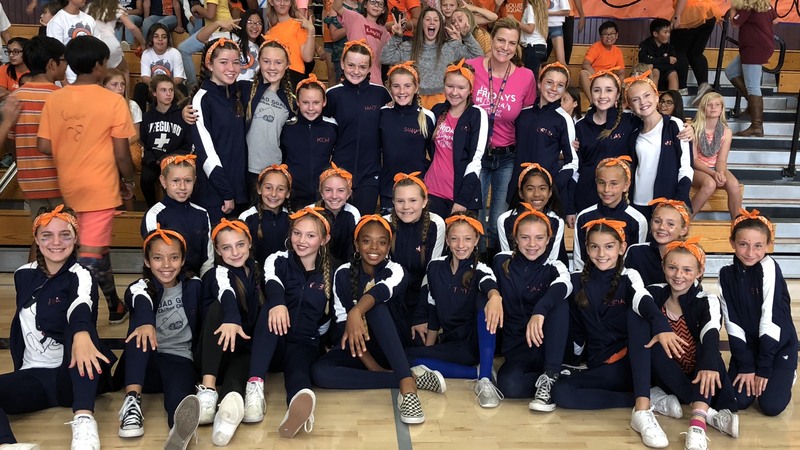 We were able to talk to the squad and learn about how much fun they had at their fundraisers and the girls then presented the board with a check for the funds that they raised. Our Chair, Carol Chilton Garcia, especially enjoyed the visit as the school is named after her mother, Barbara Chilton. Nice work young ladies! We appreciate your support!